LAMP Stands for Linux, Apache, MariaDB, and PHP. Most of the websites work with the above combination. If you think the above combination will be only on servers where the hosting is made, that is wrong you can make on your PC which has Linux. The installation of the LAMP on Linux Mint is simple quite when compared to other Linux environment. 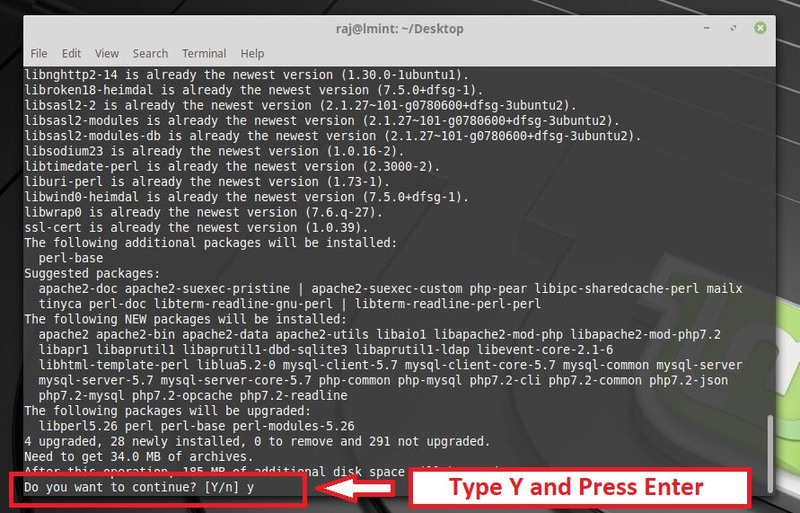 In other Linux environment, we need to install all the above separately by separate commands. But in Linux Mint you can install the LAMP in a single command. 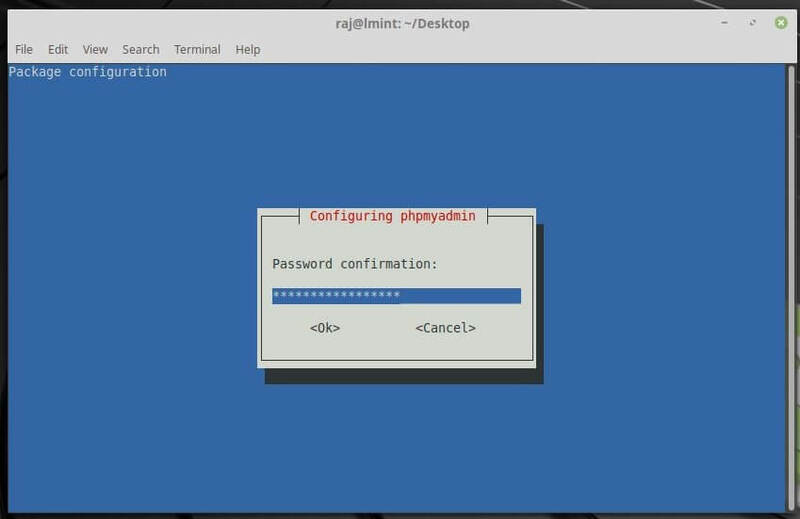 Once you run the command, it will ask you to enter the password for the user. Then it will search the required package for LAMP server. In the end, it will prompt you to confirm the downloading and installation of packages. Before testing Apache, restart the Apache server. 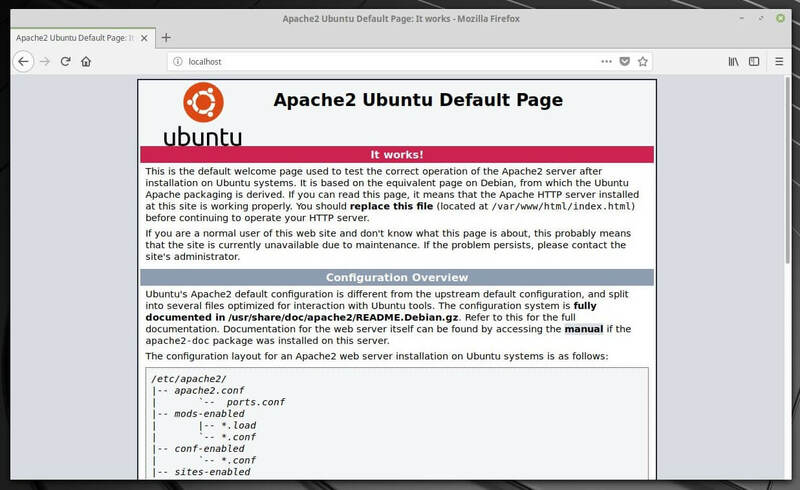 You will get the Apache2 Ubuntu Default Page. This page confirms that the Apache is working fine. 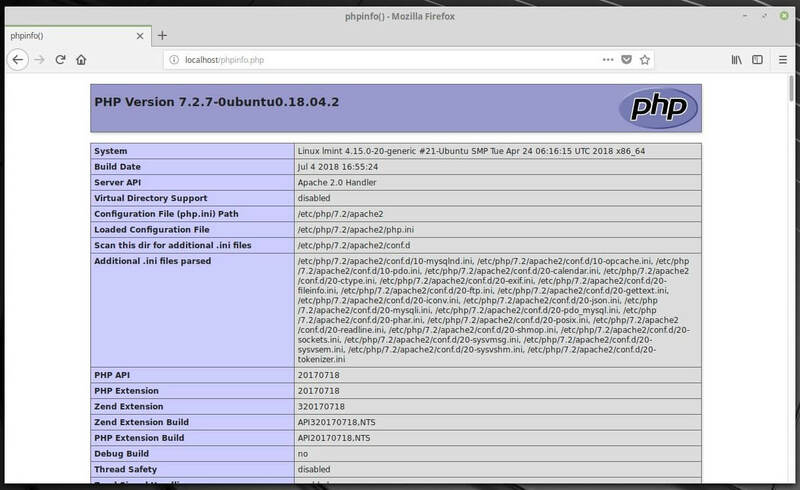 Apache’s default document root is /var/www/html on Linux Mint, and the configuration file is /etc/apache2/httpd.conf. Additional configurations are stored in the /etc/apache2/*-enabled directories. 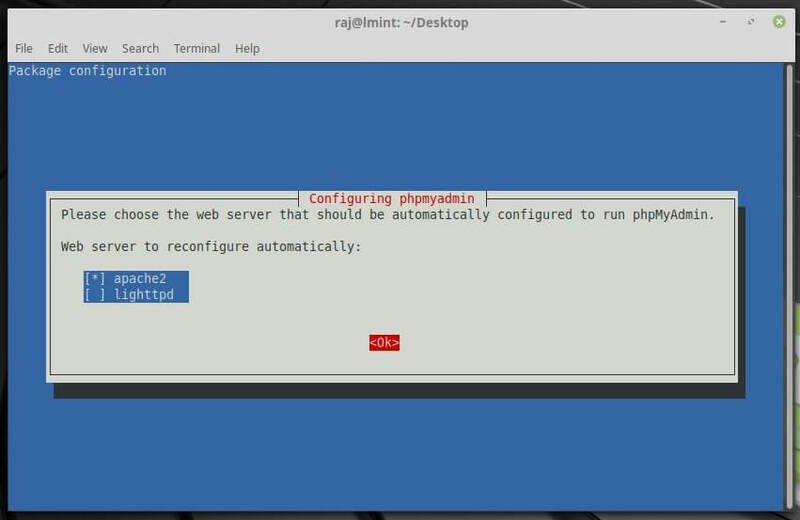 For testing the PHP, place a .php file on to the default document root of the Apache web server. Next is to install phpMyAdmin, a graphical web interface to manage databases very easily. The installation will prompt you to select the web server for automatic configuration. Use space to select the web server type and then press Enter. 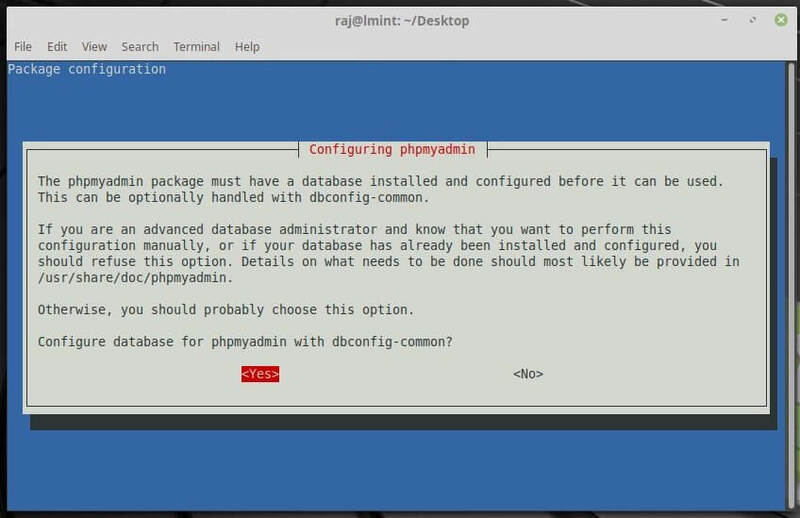 Next screen will prompt you for configuring database called db-common for phpMyAdmin. Use the tab key to select yes and Press Enter. 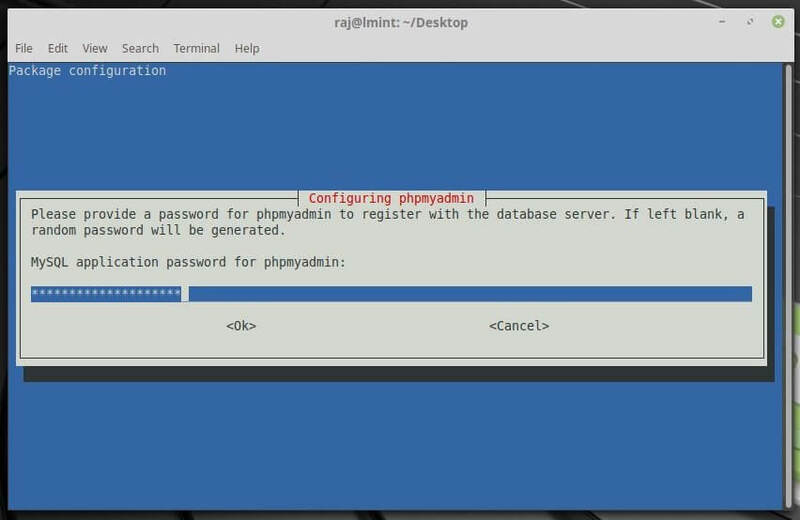 It will prompt you to type the password for MySQL application password for phpMyAdmin. if you left it blank, a random password will be generated. Type the password of your wish and press Enter. Confirm your password in the next screen. 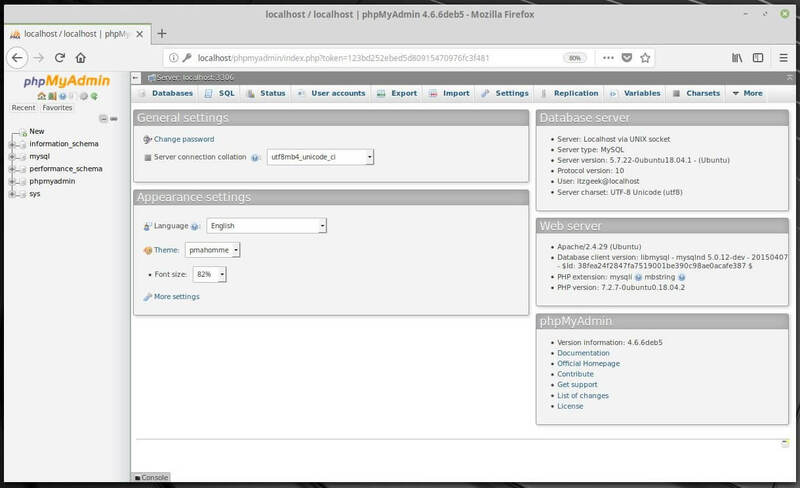 If would like to manage the MySQL through phpMyAdmin, then open the Mozilla Firefox and type the following web address. You will get a MySQL login page. Type the username and password. After the Login, you will get the Main Page of the phpMyAdmin. Here you can manage your databases very easily.